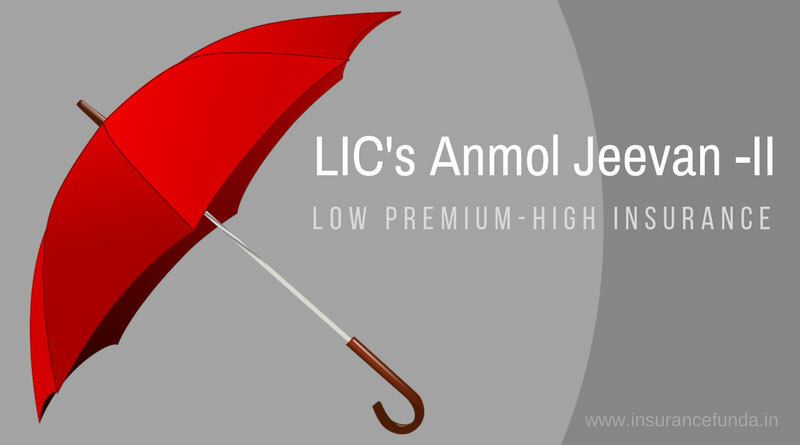 LIC Anmol Jeevan – II (T-822) is a pure Term Insurance plan from Life Insurance Corporation (LIC) of India. In other words, Anmol Jeevan is a regular premium paying, conventional, without profit, pure protection plan. Use the calculator given above to get a clear idea of LIC’s Anmol Jeevan plan. Just enter the basic details like Age, Sum Assured, Term etc. and click the ‘calculate benefits’ button. A benefit details chart also will be available on click of a button. As Anmol Jeevan is a pure term insurance plan, no maturity benefit shall be payable after the premium paying term. Anmol Jeevan – Important things to remember. Maximum Sum Assured available under the plan is Rs.,24,00,000 If you want a higher insurance coverage, you can go for LIC’s Amulya Jeevan -II plan . No surrender value or loan will be available under LIC’s Anmol Jeevan plan.